If you follow this blog you probably know that one of the main motivators for me to get serious about learning Japanese was because I am a big fan of the author Haruki Murakami and had a strong desire to read his novels in their original, untranslated, Japanese. When I meet people for the first time, the topic of why I started learning Japanese comes up pretty often, especially with those people who are into the language themselves. Recently, I had a few people ask me what it is like to read Haruki Murakami novels in Japanese as compared to the English translations. I had answered those questions briefly at the time, but I think the full answer to that question is worthy of a longer post. One of my main reasons to originally get away from translated works is because I felt there was always a chance something was missing in the translation. I thought that no matter how good the translator was, some subtle nuance would be lacking, or maybe even a larger cultural reference would get translated out. Most novel translations that I’ve read don’t have a detailed notes section, which seems necessary for the reader to get a true understanding all the linguistic subtleties of the original text. But, roughly two decades later, I am starting to feel that this not as big of a issue as I had originally imagined. After all, some of the translators for Murakami’s works, like the well renowned Jay Rubin, have amazing credentials and experience. 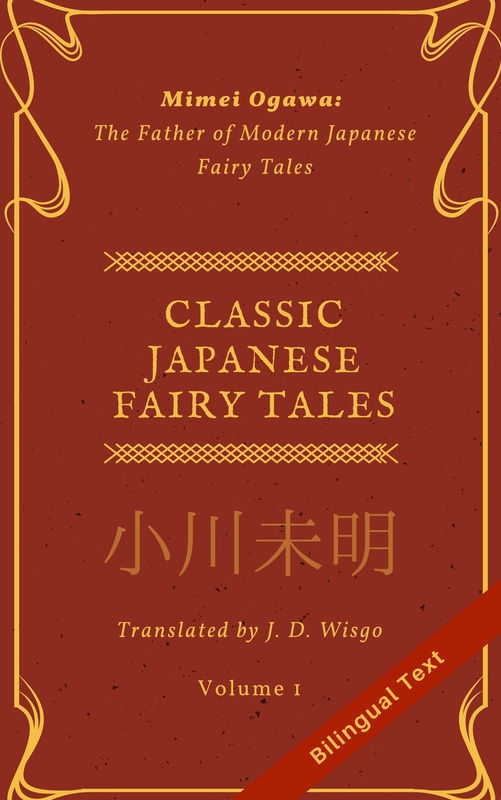 Having started dabbling in some novel translations myself as a hobby, I know how hard this stuff is, and I can really appreciate that a skilled translator must have not just a great grasp of Japanese but also superb writing skills in English. While the overall story as whole will not usually be at risk in a translation, the line-by-line nitty gritty details at the sentence level are heavily influenced by the translator, and these can make or break the experience for the reader. Of course, all translators are not Mr. Rubin, and if I was going to do a detailed analysis of a novel I think there is still some value in referring to the original language. But overall my concern about missing out nuances when I read a translated work is a bit less than it was back then. Ironically, regardless of how fluent I get in reading Japanese, I think there will always be a certain level of understanding and appreciation of the content which I can only get when reading something in English, which includes translated works by an expert translator. Nevertheless, I don’t think I’ll ever read a book in English which was translated from Japanese since I always want to do my best to close that gap even further. So, what other perks are there to being able to read Murakami’s books in Japanese? It’s nice to be able to read his books when they first come out without having to wait for the English translation. For example, for “Kafka on the Shore” (海辺のカフカ), the first Murakami novel I read in Japanese, there was around a 3 year delay between the Japanese release and the English one. I can also enjoy any of his works that haven’t been translated yet. However, I think now that he is so popular, these two things no longer apply, with most of his works already translated and smaller gaps until translations are released. To be honest, one of the main benefits is just the raw enjoyment and satisfaction I get from reading his works in Japanese. I actually read the first book of 1Q84 twice (review here) several years apart, which is the first time I’ve re-read a full length Japanese novel. One special thing I find with his books, compared to many other writers, is the Japanese is relatively easy for me to follow and understand. I think there are a few reasons for this. First, I was used to his overall style from reading a few of his books in English first, which helped me guess what he was saying in Japanese. Second, his stories are generally really interesting and though-provoking to me, which keeps me motivated even in tough parts. Another reason is that his sentences are generally not overly complex, and while there is typically a great deal of description which can slow down the pace in other books, I feel that he uses more comparisons to everyday things rather than resorting to heaps of uncommon terms that I have to constantly look up in the dictionary. (Exception: at least one or two parts in 1Q84 had some pretty challenging reading, but that was done for atmosphere and tightly related to the story). Finally, I’ve heard people say that his Japanese has influences from the English language, which probably stems from his interest in American culture. I’ll never forget reading the phrase “キュウリのようにクール” (a direct translation of “cool as a cucumber”) which is clearly taken that expression in English. (There is some discussion on this phrase here). Ironically, the fact his books are relatively easy for me to read in Japanese is one of the reasons I’ve branched out to read different authors (example). Every author has their own way of expression, including words and grammar constructions they commonly use, and sticking to a single author would be severely limiting my growth as a reader of Japanese works. The benefits are much greater too, since I get to read a bunch of authors that very few people in America have actually heard about. And there is an extra level of satisfaction as I successfully wade through the many challenging words and sentence structures used by these other Japanese authors–there is truly a universe of different styles out there. Very rarely have I given up, though in some cases it takes many months to get through a book. Thanks for the comment and for reading my blog! I will think about your question about novel recommendations and try to write a post in a little while. I started out with Murakami novels as well. I think they are a great place to start because his writing style is extremely interesting, while not using as much slang and as many idioms as most other books I’ve read. If you really like his novels in English, then I would suggest to stick with it and you will slowly become able to read faster. Another great option would be Hoshi Shinichi’s Bokko-chan. His “short short” stories aren’t necessarily much easier to read than Murakami, but you can have the satisfaction of completing stories in a shorter amount of time. I’m interested to see what Locksleyu recommends! I haven’t tried Bokko-chan, thanks for the recommendation!